Dr. Boom’s robot duplicate, Robo-Boom, is working to perfection! 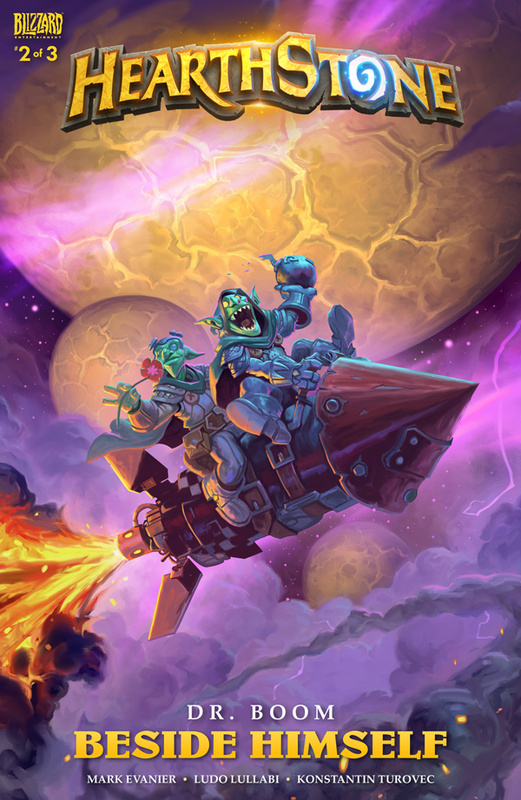 The Boomsday Project is on track, experiments are running smoothly, and best of all, Dr. Boom has plenty of time to relax, kick back and watch as his robo-buddy handles all the details. In fact, he might be handling things a little too well. . . . Written by Mark Evanier and illustrated by Ludo Lullabi and Konstantin Turovec, "Dr. Boom: Beside Himself" is now available for download here. We hope you enjoy this tour of Boom Labs, and we hope you’ll join us for your own experiments in The Boomsday Project!